It was a party atmosphere at Adelaide Oval in the Big Bash on Monday night, but Sydney Thunder weren’t the ones celebrating. 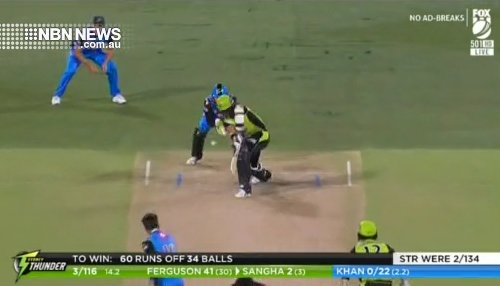 Chasing 175, the Thunder got off to a good start, before Shane Watson fell victim to some spectacular fielding. Newcastle teenager Jason Sangha couldn’t add much – out for two – on what was an emotional night for spinner Rashid Khan. The Thunder eventually fell 20 runs short.